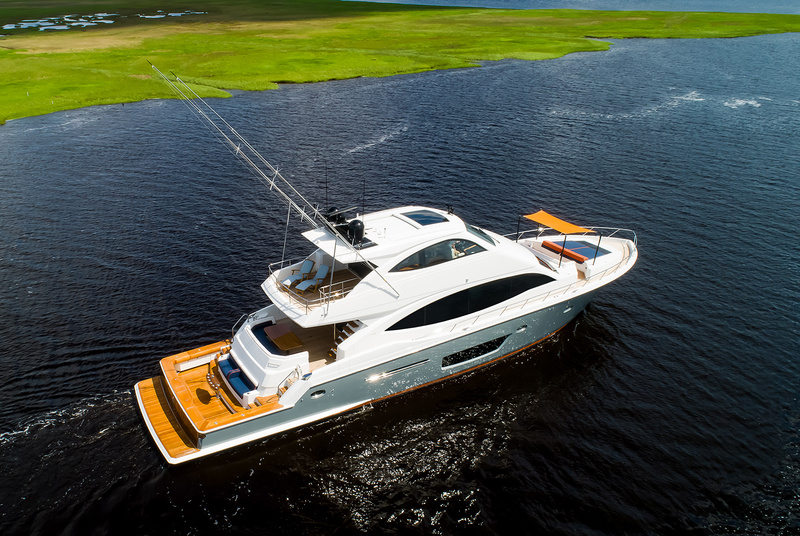 Here is the second Viking 82 Cockpit Motor Yacht, a three-deck enclosed bridge luxury yacht fisher with the performance DNA and tournament-tested cockpit of our legendary convertible sportfishing boats and more interior space and accommodations than any other boat in its class. She's a beauty, right? As a semi-custom builder, Viking is able to satisfy our customers far beyond their expectations. Special requests are met with a smile and assurances that the job will be done correctly and completed on time. The owner of this 82 added several personal touches to the boat, including the orange bootstripe. The 150-square-foot teak-planked cockpit is accessed from dual staircases, each flanked by perfectly placed handrails inboard and outboard. A showcase of intelligent design, the cockpit and after deck serve as an inviting arena for fishing, diving, paddle boarding and other fun water activities. The large centerline hatch provides easy access to the diesels. This boat is powered with a pair of CAT C32A powerplants (1,925 MHP); MTU and MAN propulsion packages are also offered. Both our 82 CMY and 75 Motor Yacht can be built with open or enclosed bridges. 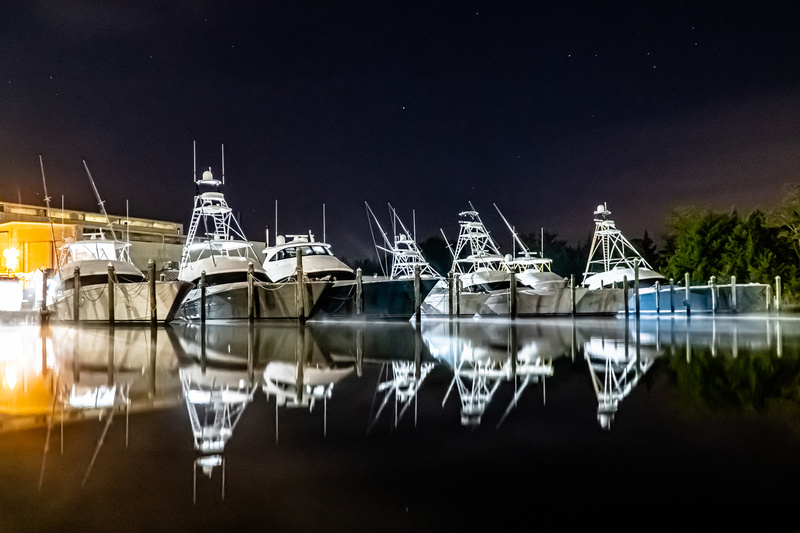 Our subsidiary Atlantic Marine Electronics will take care of all your electronics and audio/visual needs in custom installations. Dual wing stations with slide-out engine controls give the captain excellent sightlines and flexibility when docking. Stainless steel-framed sliding glass doors lead to the open and spacious salon. The side windows balance form and function, providing ample natural light in a design that complements the yacht's modern profile. You have more flexibility when it comes to the galley area, which is offered in both an open or closed arrangement. Four stunningly appointed staterooms illustrate Viking's ability to balance elegance and practicality. The master and three guest staterooms each have a private head with walk-in shower. The forward VIP has a queen walk-around bed and a foredeck skylight. Our construction methods and materials lead the industry. The hull and deck are resin-infused for great strength in an efficient build.